The beginning of the se­venteenth century’ was a time of profound social and political crisis for Russia. The increasing social contradictions produced many uprisings of peasants, bondmen and urban townsfolk. The most important of these was the Peasant War led by Ivan Bolotnikov, the first peasant war in Russian history. The Polish intervention led to the loss of Smolensk and other south­western territories. The Swedes blocked Russia’s outlet to the Baltic. The crisis in the social and state structure was accom­panied by a dynastic crisis. The people of that day and subse­quent generations called this dif­ficult period the Time of Trou­bles. Ivan the Terrible’s son Theo­dore, the last tsar from the house of Grand Prince Ivan the Money- Bag, died in 1598 leaving no heir. His brother-in-law Boris Godunov, who had in fact ruled Russia under Theodore and was a member of the junior line of the old Moscow boyar family of Saburovs, acceded to the throne. Although his accession was represented as an “election by the whole people”, the authority of the autocracy began to decline rapidly. After Boris’ death (on April 13, 1605) the cap of Monomachos became a plaything in the hands of numerous pretenders, lost as easily as it was won. Boris Godunov’s son Theodore held the title of sovereign of All Russia for six weeks only, before being killed by the supporters of Pseudo-Dmitry I. Pseudo-Dmitry I was murdered before a year had passed. 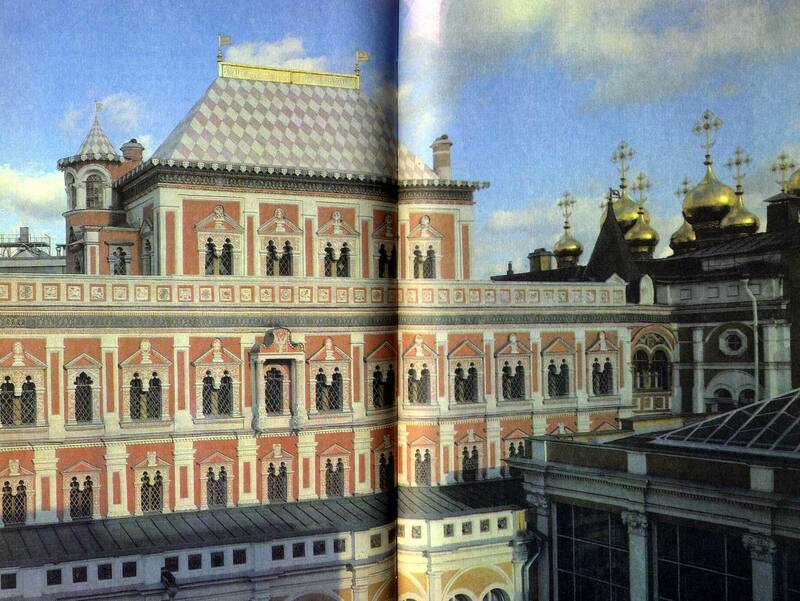 And two days after his death, on 19 May, 1606, Prince Vasily Shuisky, the leader of the plot, came to the throne, the last of the line of Rurik to accede to the throne of Moscow. But Russia did not want to acknowledge this “boyar tsar”. It was rumoured that “Dmitry” had escaped death and that someone else had been killed in his place. Before the new pretender had even appeared, the towns of Putivl, Chernigov, Ryazan and Tula rose up in support of him. Vasily Shuisky hastily assembled an army to put down the revolt, but it was overwhelmingly defeated at the battle of Kromy. The insurgents were led by a boyar’s bondman called Bolotnikov, a brave and skilled soldier who had been captured by the Tartars, sold as a slave to row in Turkish galleys, and then, after being freed, gained military experience in Europe. Although Bolotnikov was fighting for the “natural tsar Dmitry” he represented the interests of the lower social strata and urged them to give short shrift to the ruling estate. The poor townsfolk, peasants and fugitive bondmen flocked to his banners. Bolotnikov won many victories over the tsar’s forces and advanced almost to the gates of Moscow. However the treachery of noblemen’s contingents from the southern regions caused him to retreat, first to Kaluga, then to Tula. Only after a long siege of Tula did Vasily Shuisky succeed in defeating the peasant army. The breathing space gained by the government was short-lived, however. A new enemy threatened it—Pseudo-Dmitry II. Sup­ported by detachments of Polish soldiers of fortune and Cossacks he advanced as far as Moscow in the summer of 1607, largely thanks to the Polish interventionists. Pseudo-Dmitry II made the village of Tushino outside Moscow his capital and was nicknamed the Tushino thief or Tushino tsarik. From here he dispatched his agents and soldiers round the Russian towns. He was recognised by Pskov, Suzdal, Vladimir, Rostov, Yaroslavl and Vologda. For almost three years Moscow and Tushino threatened each other, and neither side could gain the upper hand. Vasily Shuisky was forced to turn to the Swedes for assistance. The pretenders, or tsariks as they were called, provided a strange background to the kaleidoscopic changes of tsars. They began with Pseudo-Dmitry I (there were no pretenders in Russian history prior to the seventeenth century). This “playing the tsar” reflected a most important change: the Russian people had ceased to believe in the Divine origin of autocratic power, in the idea that there could be only one tsar “by the Will of God” in the country. The very number of pretenders is significant in itself. During the Time of Troubles more than ten of them appeared, and they came from different social strata. Pseudo-Dmitry I was from the Otrepyev family of the service nobility; Pseudo-Dmitry II or the Tushino thief was the son of a priest; and “Prince” Peter, who claimed to be Tsar Theodore’s son and fought together with Bolotnikov, was a bondman. This shows clearly that at this time of crisis not only the nobility, but also the lower strata hoped to sieze power and put a “just” tsar on the throne from their own estate. Participation by all estates is characteristic not only of the political and social struggle. It is a common feature of the Time of Troubles in general and is clearly seen in the sphere of literature also. The role of the spoken and written word increased greatly. The victory of Pseudo-Dmitry I was secured not so much by arms, as by “anonymous sheets”, skilful propaganda that won popular opinion over to his side. All rulers and pretenders to the throne, Vasily Shuisky, Pseudo-Dmitry II and the Boyars’ Duma, circu­lated appeals. King Sigismund III of Poland flooded Russia with “enticing sheets” on behalf of himself and his son Wladyslaw who also had designs on the throne of Moscow. Many agitational gramotas were issued from Bolotnikov’s camp, particularly at the beginning of the war of liberation. The “brothers of the Moscow state” (the towns and the Trinity Monastery of St Sergius) urged one another “to stand together with the whole land and fight the Lithuanians to the death”. The gramota is an official genre aimed at providing informa­tion about certain events, conveying facts, forbidding or ordering something to be done. But the gramotas of the Time of Troubles not only informed. They also sought to persuade, to act not only on the reader’s mind, but also on his heart. They are characterised by a heightened emotionality that is not usually found in official document writing and is always present in fictional texts. The authors of these gramotas wrote rhythmic and rhyming prose, had extensive recourse to rhetorical devices, painted pictures of the common folk’s misfortunes and included “laments” in their texts. As a result information was relegated to the background, and the gramota became a product of rhetoric, oratory. Thus the agitational literature of the Time of Troubles paved the way for the artistic reinterpretation of official genres which is one of the literary discoveries of the first half of the seventeenth century. The participation by all estates also explains why the circle of writers became broader. Whereas before it consisted mainly of learned monks who engaged in literary activity, now laymen of all different ranks and estates took up the pen, princes, nobility from the capital and the provinces, and government officials. Whereas before there had been a division between the oral and written tradition, now folklore found its way into manuscript books. From the first half of the seventeenth century we have some very old specimens of rayeshnik verse, an extremely old collection of incantations, the manuscripts of the oral poetic Tale of the Kievan Bogatyrs and songs about Grigory Otrepyev. As Russian society broke up into various parties and camps, governmental and church control of literature became impossible. The Time of Troubles was also a time of no censorship. The writer’s freedom did not depend on non-literary factors. The writer began to reflect freely on the behaviour of the people he portrayed, rejecting the traditional mediaeval scheme of good or bad and discovering for himself the diversity, complexity and contradictory nature of human character. This period also witnessed a cultural reorientation in Russia. Up to the seventeenth century Russian literature had been oriented primarily on the literature of South-Eastern Europe (the Greeks and the Balkan Slavs). Now contacts with the Ukraine, Byelorussia and Poland became paramount. One of the conse­quences of the Brest Church Union of 1596, aimed at making the Orthodox population of the Polish-Lithuanian state adopt Catholi­cism, was that Ukrainian and Byelorussian intellectuals emigrated to Moscow. At the beginning of the century their experience and knowledge were used extensively. They worked at the Moscow Printing House and translated from Greek and Polish. With regard to Poland, with whom Russia was waging a long and exhausting struggle, literary contacts did not cease even in these difficult years. The Poles who inundated Russia were not only soldiers of fortune out to loot and plunder; they also included some highly-educated scholars. The eminent Polish philosopher Sebastian Petrycy, who came for the wedding of Marina Mniszech and was exiled after the murder of Pseudo-Dmitry I, wrote some poetic variations on themes of Horace while “in Moscow captivi­ty”. In this book (published in Cracow in 1609) there are hundreds of lines about Moscow. Polish works very soon began to predominate in translated literature. Polish literature played the role of an intermediary literature: through it the themes and characters of European culture began to circulate in Russia. The “turning to Western Europe” is reflected in the Chronograph of 1617, which contains far more information about Greek mythology (some existed before), renderings of the myths about Chronos, the struggle of the gods and the titans, Heracles, Perseus, Dedalus and Icarus, King Midas and Orpheus. Drawing on the Polish Chronicle of the World by Martin Bielski, the redactor of the Chronograph of 1617 compiled chapters on the history of Poland and the Holy Roman Empire and included information about the popes. The Chronograph was intended as a model for imitation, its viewpoint being that of official historiography. By drawing on European material, the Chronograph was instrumental in bringing about the European­isation of Russian culture. In 1618 Russia and Poland signed the armistice of Deulino. Patriarch Philaret, the father of Tsar Michael, returned to Moscow from Polish captivity. The chief ideologist by virtue of his office, Philaret also became the virtual ruler of the state. His aim was to restore the former ideological status destroyed by the Time of Troubles. Philaret proclaimed isolationism, banning the importing, possession and reading not only of Polish works, but also of books of the “Lithuanian press” and publications of Orthodox Ukrainian and Byelorussian printers. But no bans could turn back the clock. There could no longer be any question of universal submission, unquestioning obedience. The experience of the Time of Troubles had not been in vain. Philaret himself, incidentally, took this experience into account. His isolationist programme was cut according to the Polish pattern. He also borrowed a great deal from the Counter- Reformation, with which he had become familiar during his captivity and which was waging an ideological offensive, because by the beginning of the seventeenth century the position of Catholicism in Poland had been gravely weakened. Protestants of all kinds (Lutherans, Calvinists, etc.) were opening more and more new schools and printing houses, flooding Poland with their writings. The oppositional writing of the lower strata was also finding its way to the printing press: from time to time works of semi-folklore satire kept appearing on the book market, which ridiculed and rejected the hypocritical world of official culture. The Counter-Reformation began a campaign both against religi­ous free-thinking and against popular culture. In 1617 Bishop Martin Szyszkowski published an index of proscribed books. The “control of people’s minds” was becoming a reality. Like the Counter-Reformation in Poland, the Moscow Patriar­chate was also fighting on two fronts. While setting up obstacles to contacts with the West, Philaret at the same time declared war on the skomorokhs, the confraternity of wandering minstrels and jesters who were the professional bearers of folk art, their skits, songs and street shows. The skomorokhs are known from Russian sources as far back as the eleventh century. From the outset the Orthodox Church had denounced their “play-acting, diabolical singing and blasphemous mockery” (there is an old Russian proverb that say “God created the priest, and the Devil the skomorokh”), but right up to the seventeenth century the Church tolerated the skomorokhs, not regarding them as particularly dangerous. Patriarch Philaret was the first to turn from words to deeds, from denunciation to direct persecution. Moscow skomorokhs’ musical instruments were confiscated, put into carts, taken down to the River Moscow and burnt. The persecution of the skomorokhs was a sign of the weakness, not the strength of the Church, a sign that it had begun to fear “secular” culture as an ideological rival. The attempts to restore ideological equilibrium did not lead to stagnation, nor to turning back the clock. The principle of dynamism, the principle of constant change, not only quantitative, but also qualitative, was already firmly established in Russian literature. Ivan the Terrible’s infant son Dmitry died in Uglich during the reign of Theodore. (Rumour had it that Boris Godunov was responsible for his death, but it is more likely that the boy died as the result of an accident.) At the beginning of the seventeenth century this gave rise to a spate of pretenders claiming to be Dmitry, who, they said, had managed to escape death.